Howard Spiegler's New York law firm has helped clients and countries recover stolen hundreds of artworks and antiquities. Art theft may seem like the fodder of Hollywood heist movies, yet it's a serious criminal enterprise, the third most profitable in the world. The U.S. Department of Justice says it trails only drugs and arms trafficking. Precious items are often stolen during wars. The Nazi-sanctioned looting during the second world war was extensive. Stolen art is peddled through shady, elaborate networks and many items have ended up inadvertently or knowingly in major museum collections. But the rightful owners have an ally in Howard Spiegler, an attorney who has helped them reclaim hundreds of stolen works of art. Howard Spiegler fights for art justice. He graduated from Columbia University's law school in 1974 with the hope of doing public good. "If someone had told me in law school, even, that I have a crystal ball and I see in your future that you're an art lawyer, I probably would've said, 'What in the world is an art lawyer?'" Because there weren't any. Spiegler was among a handful of people who helped create the field. In their first case, representing the East German government, the lawyers recovered several portraits owned by one of the country's museums. During World War II, government officials had hidden the art in a German castle. Occupying American soldiers pilfered it at the end of the war and sold the paintings in the U.S. The firm's victory marked the first time that a foreign country had successfully sued in the U.S. to recover cultural property. 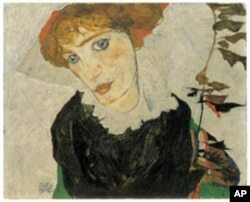 About a dozen years ago, Spiegler started working on cases involving Nazi-looted art. "I think his legacy is just to set a higher standard and remind the art market and museum world that it's accountable," says historian Marc Masurovsky, co-founder of the Holocaust Art Restitution Project, "to accept the fact that many items have come in without clear provenance and are clearly acts of theft." Masurovsky often turns to Spiegler to discuss thorny legal and ethical questions. And there are plenty of those, often raised by an artwork's inadequate "provenance," or proof-of-origins. In the art world, that's the paper trail that proves a painting or sculpture is not forged or stolen. Masurovsky says Spiegler's work has created a new sense of moral and legal responsibility in the art-collecting community . This month, Spiegler and his art law colleagues at Herrick, Feinstein in New York settled one of art law's most vexing, prolonged cases for the heirs of a Jewish Austrian art dealer. In 1938, the year Austria was annexed into Hitler's Third Reich, a Nazi party member stole the Vienna dealer's property, the painting "Portrait of Wally." The work ended up in a Vienna museum, but was seized by the U.S. government while it was on loan to the Museum of Modern Art in New York. Spiegler's firm won a $19 million settlement for the heirs. The Vienna museum will retain the painting, but the display will now include signage indicating its Nazi-looted past. Spiegler's firm successfully represented the heirs of Russian artist Kazimir Malevich in their litigation against the City of Amsterdam. 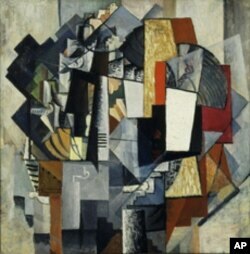 Five Malevich paintings were returned to the artist's heirs. In 1993, Spiegler earned the gratitude of the Republic of Turkey for recovering 6th century gold and silver treasures which had been stolen by tomb raiders and eventually sold to New York's Metropolitan Museum of Art. Spiegler visited the Turkish museum where the reclaimed treasures were on display. He was accompanied by a Turkish official. "He explained to the people watching that we had helped recover it. And it was a remarkable reaction of just patting us on the back, smiling and ushering us up to the front so that we could see it," says Spiegler. "It brought home the fact that this is what we do this for." Christopher A. Marinello, general counsel for the Art Loss Register, a private clearinghouse for missing artwork, says Spiegler is uniquely suited for this delicate work. "It's Howard's gentle manner that really is a benchmark for young attorneys entering into art law," says Marinello. "I mean art law is different. You've got different personalities, you've got families that have suffered in the Holocaust. And the TV model of the obnoxious New York City lawyer just doesn't work in the art world. Critics have called Spiegler and his clients "bounty hunters." Some museum officials have argued that these stolen artifacts should remain in the museums where they can enrich the world. Yet Spiegler says what's lost in that argument is justice. 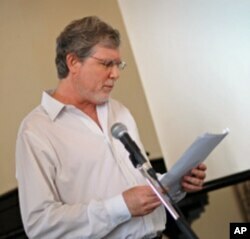 Howard Spiegler addresses colleagues at the recent conference of the Association for Research into Crimes against Art. "Let us not forget that these artworks are being recovered for the heirs of their true owners. They were taken away from them by the murderers of the Third Reich, often in the course of carrying out the Final Solution (Hitler's ethnic genocide). Who, except the families of these owners, have the right to decide what to do with their property?" Spiegler points to a poignant and chilling reminder of the importance of returning stolen art, which came from Adolph Hitler's secret service chief, Heinrich Himmler. "Himmler once declared that the Nazis had to kill all the Jews because, if not - quote - their grandchildren will ask for their property back. We and my many colleagues in this field are very proud to say that we have helped to prove Heir Himmler quite correct." After years of recovering art, the man who didn't know what art law was now dabbles in collecting himself. He and wife buy masks and fans during their travels. And Howard Spiegler says he's confident the art is never, ever stolen property.